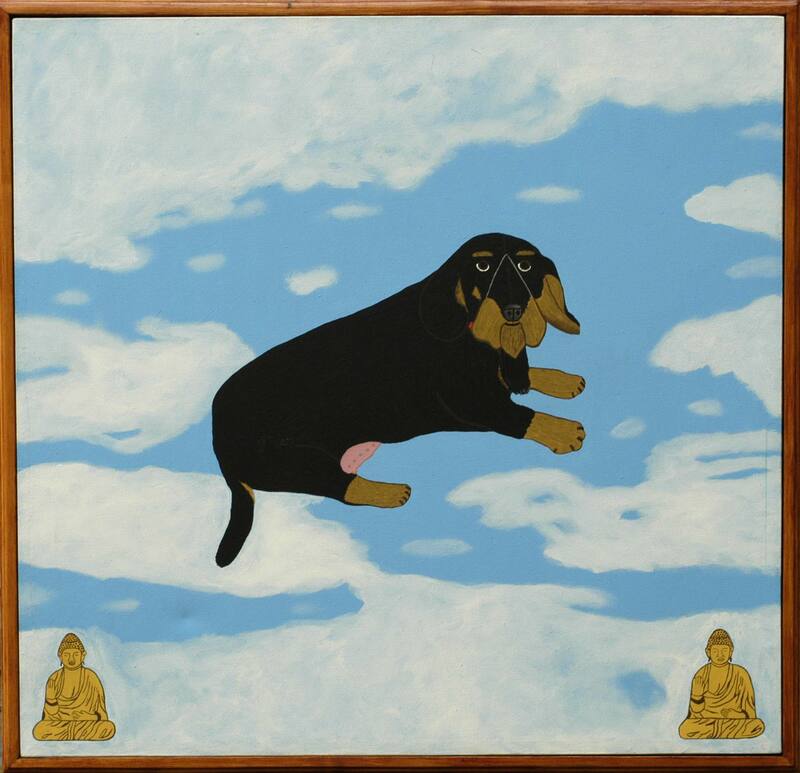 The vision of the dachshound, floating among the clouds, is not alien in the line of Péter Hecker’s paintings. Among the bright-coloured, cleared forms, every line and speckle carry some significance, and the abstract world on the paintings is familiar and strange at the same time. Besides the obvious humor and the creator’s playfulness, Hecker’s pictures also feature peculiar symbols, personal experience and self-reflection. kArton exhibited his paintings two times in 2001 and 2003.